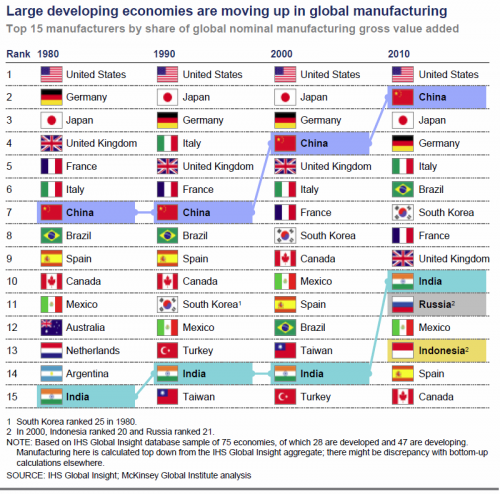 The developing countries have made their way more and more in the top 10 of global manufacturing countries. While you might expect China on the first spot, the United States as being the world's biggest economy is still the largest manufacturing producer. Brazil has advanced up to the sixth place. India just entered the top 10 in 2010 and Russia especially made a big jump from place 12 in 2000 to 11 in 2010.